For the reinforcement and waterproofing of asphalt road surfaces, IKO road is also the place to be. 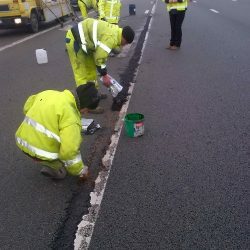 For smaller renovations, such as short stretches of motorway, there are self-adhesive membranes, developed to prevent cracking of the asphalt due to the upward water pressure. 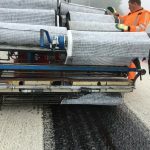 For large renovation works, such as the renovation of the complete top layer of long stretches of motorway, there are IKO grids: Fibreglass or carbon fibre mats which are mechanically applied to the road surface. These grids present several advantages, such as long life, simple and fully mechanical placement due to the self-adhesive nature of the grid and they are recyclable. 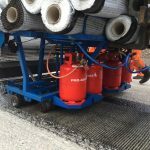 Pre-bituminised asphalt reinforcement grid made of carbon and glass fibres. 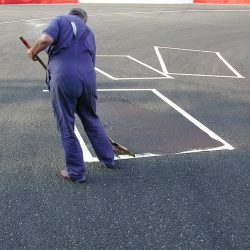 Pre-bituminised asphalt reinforcement grid made of carbon fibres. 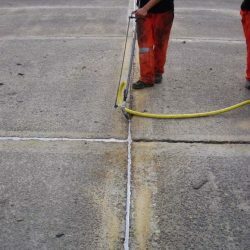 Pre-bituminised asphalt reinforcement grid made of glass fibres. 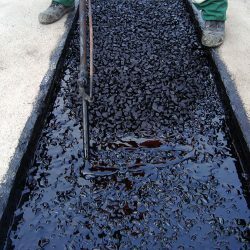 Pre-bituminised asphalt reinforcement made of fibreglass and two fibreglass mats (membranes). IKO polystrong conceived to reinforce and load spread wherever road surfaces show first signs of cracks. Waterproofing membrane composed of plastomer (APP) bitumen and a polyester-glass fleece combination inlay.